Knives handed in to police during a previous amnesty campaign. The number of people caught with guns and knives in Wakefield has increased by almost a third, according to the latest police recorded crime statistics. There were 206 weapons possession offences between April 2017 and March 2018, according to data by the Office for National Statistics (ONS). These can include hand guns, knives and even corrosive acid. That figure is up 29.6 per cent on 2016-17, when 159 incidents were recorded. However the ONS’ Caroline Youell said that along with weapons offences, the number of stabbings and killings has genuinely gone up. Ms Youell added: “There have been increases in some lower-volume ‘high-harm’ offences such as homicide and knife crime, consistent with rises over the past three years. Alex Mayes, policy and public affairs adviser for charity Victim Support, said: “It’s truly shocking to see these rises in homicides and violent crime such as knife crime. Overall, police recorded crime in Wakefield increased in 2017-18. During the last year 36,222 crimes were recorded, up by 13 per cent on 2016-17. That means there was a rate of 106 crimes per 1,000 residents during 2017-18, above the England and Wales average of 82. 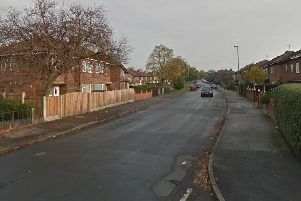 There were 1,906 residential burglaries reported in Wakefield. Due to a change in how the ONS categorises burglaries, the localised figure cannot be compared with other years. Theft, one of the most high volume crimes, has increased by 2 per cent. Drugs related offences slightly rose by 1.4 per cent. Ms Youell said: “Most people don’t experience crime. The figures show a fairly stable picture in England and Wales for most crime types. Criminal damage, which includes arson and vandalising cars and houses, has gone up, from 4,294 incidents in 2016-17, to 4,470 in the latest figures. In Wakefield there were 1,071 incidents recorded in 2017-18, a 52 per cent rise on the previous year, when 704 crimes were reported. There were also 3,310 cases of stalking and harassment reported over the same period.